The Washington Post’s holiday gift guide. I had the pleasure of working on a cover project for The Washington Posts's local living section. 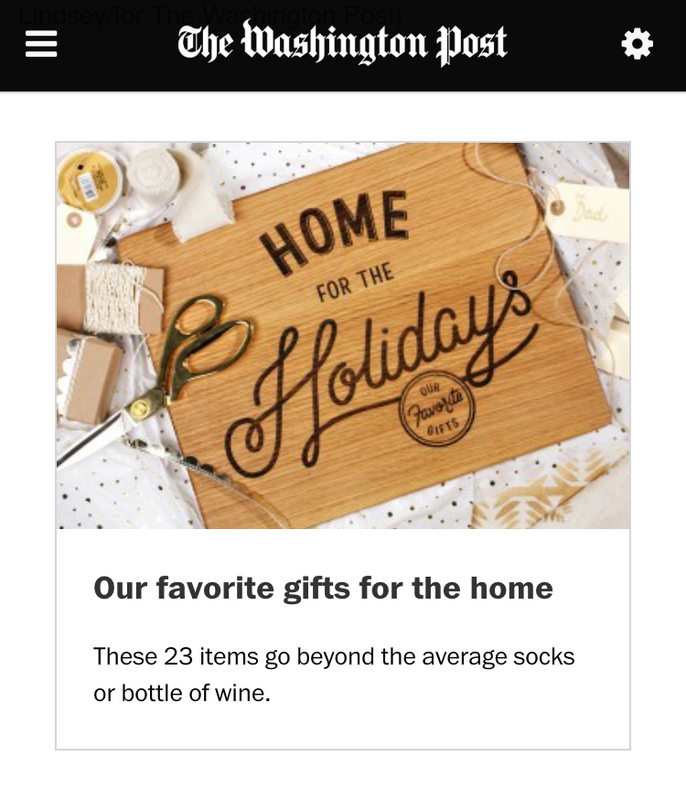 Each year, they create a gift guide that comes out just before Thanksgiving. For the cover, they wanted to feature a cutting board engraved with custom typography. The lettered cover was accompanied by a curated list of holiday gifts. Check out the full guide on their site. My final vectorized lettering was then laser etched into a cutting board for the photoshoot.